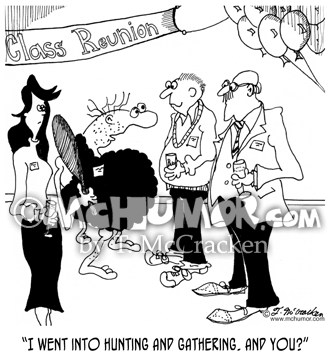 Anthropology Cartoon 6523: A caveman in a bearskin saying to a man at a high school reunion, "I went into hunting and gathering. 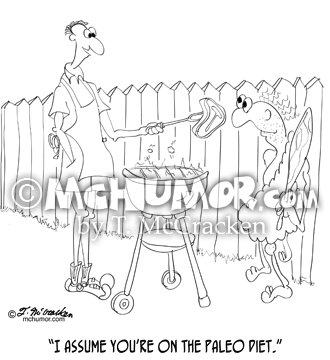 And you?" 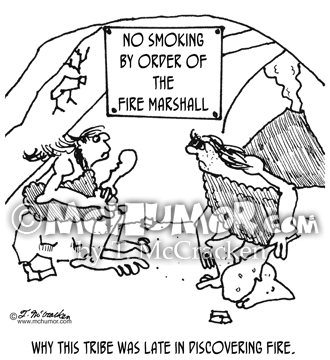 Fire Cartoon 3722: A sign in a cave says, "No Smoking by Order of the Fire Marshall." 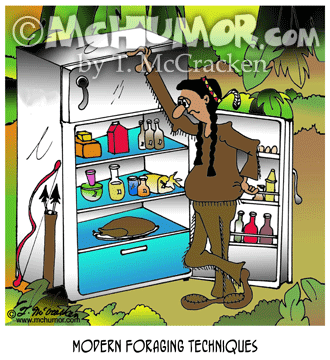 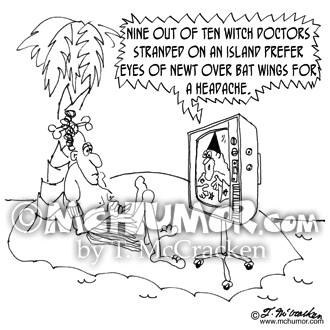 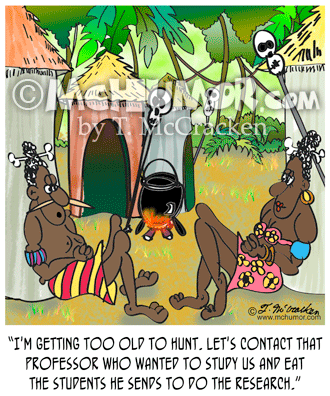 "Why this tribe was late in discovering fire." 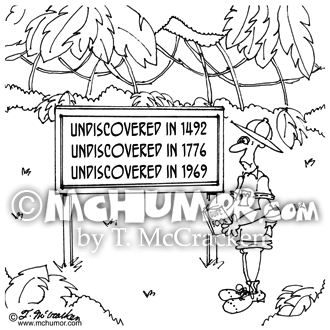 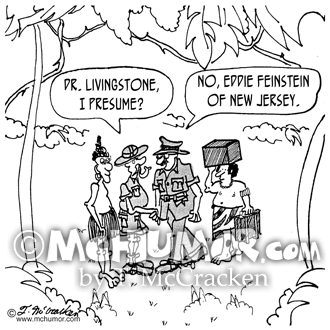 Explorer Cartoon 5841: A sign in the middle of nowhere says, "Undiscovered in 1492, Undiscovered in 1776, Undiscovered in 1969." 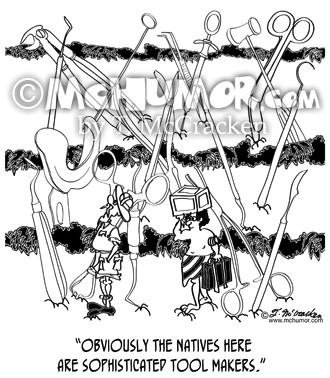 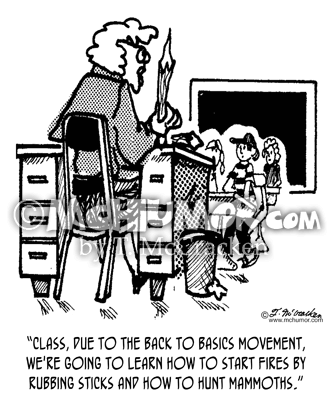 Education Cartoon 1784: A teacher saying, "Class, due to the back to basics movement, we're going to learn how to start fires by rubbing sticks and how to hunt mammoths."